Friday, January 22, was The March for Life 2016 in the nation’s capital. The march itself was barely over before snow began accumulating quickly on every surface in the Washington, DC area. All of the “happy warriors” for Life this year went above and beyond the usual sacrifices they make to come and march because of Snowstorm Jonas, a blizzard of historic proportions. Among the warriors were dozens of Anglican church members led by the Anglicans for Life ministry along with the Archbishop and a number of other bishops of the Anglican Church in North America. Rev. Josh Kammerer, Faith McDonnell, & Rev. Tom Herrick with the signs! 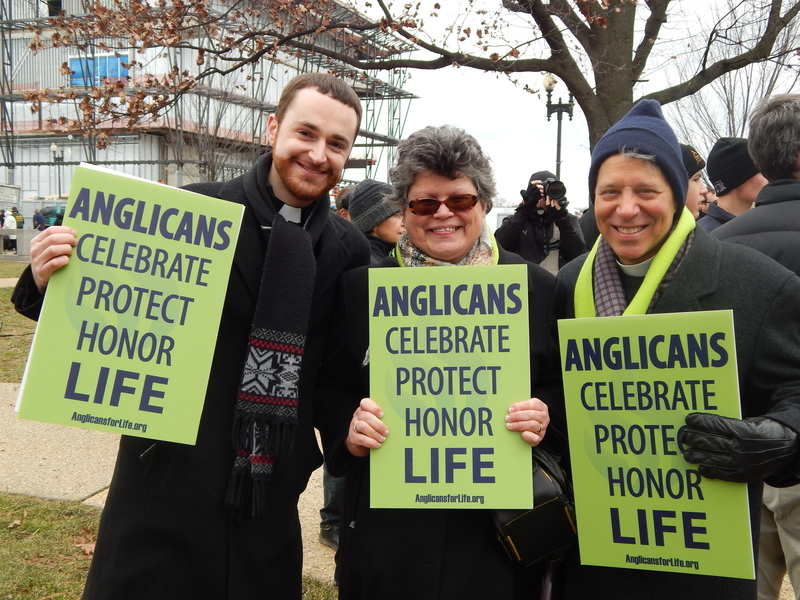 As the electric green posters they carry in The March for Life proclaim, Anglicans celebrate, protect, and honor life. In the past three years, some dozen Anglican bishops and many of their wives have come to Washington, DC to join the tens of thousands of marchers who celebrate life, from conception to natural death, as a gift from God. This year the bishops arrived early. 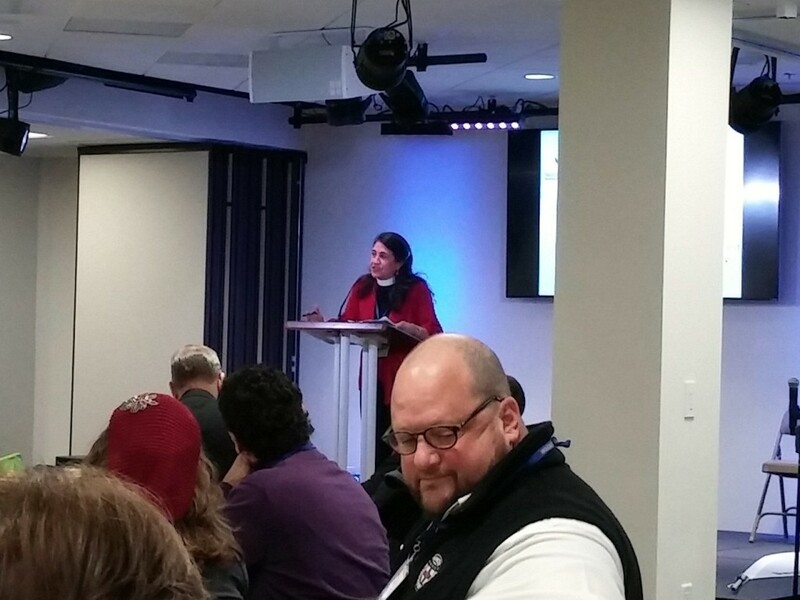 Along with dozens of clergy and lay people, on Thursday, January 21, they attended “Summit 2016: Mobilizing the Church for Life,” a conference sponsored by Anglicans for Life and the Diocese of the Mid-Atlantic. The summit was hosted by The Falls Church Anglican. The welcome message in the summit program from the Rt. Rev. John Guernsey, the Bishop of the Diocese of the Mid-Atlantic, and Deacon Georgette Forney, the President of Anglicans for Life, said that it was their “hope and prayer” that the participants would be “inspired to take action in protecting life” in their churches and communities. Participants would be equipped to prepare and assist their home church “with new ways of approaching life threatening problems” such as abortion, euthanasia, and assisted suicide. Teachings also emphasized ways to honor life at all stages, from conception to natural death, and even to honor the precious lives that have been lost through abortion and miscarriage. 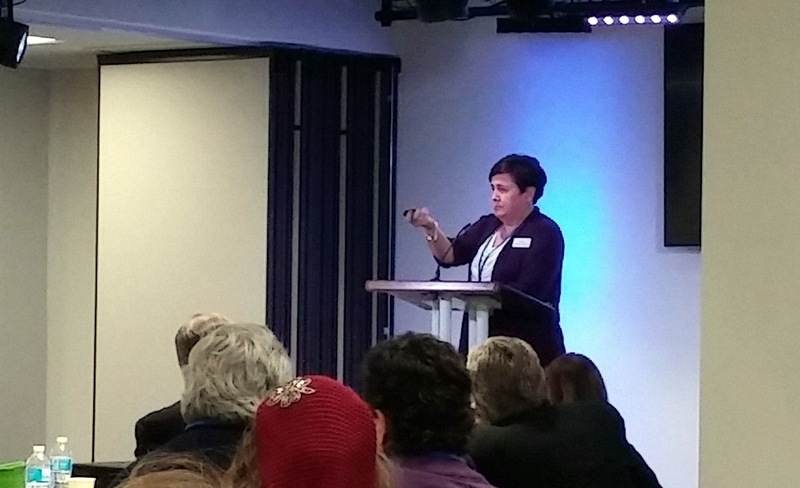 Speakers included activists who work to protect the lives of both the unborn and the elderly. John Stonestreet (Chuck Colson Center for Christian Worldview), Carol Clews (Center for Pregnancy Concerns), Dr. Kirsten Ball (Best Choice Mobile Ultrasound and Pregnancy Resource Center RV), Rev. Peggy Means (Rachel’s Vineyard Abortion Recovery Ministry), David Bereit (40 Days for Life), Zina Hackworth (This Race Will Self-Destruct), Julie Kresal (Elizabeth Ministry), William Saunders (Americans United for Life), and Dr. Allen Roberts (Georgetown University Hospital) addressed the summit in person. Other speakers, who appeared by video, included the renowned theologian Rev. Dr. J. I. Packer, attorney Morse Tan, J. J. Hanson (President, Patients’ Rights Action Fund), Christen Krebs (founder and director, Catholic Hospice of Pittsburgh), and Jo Tolck (Human Life Alliance). Jeff Walton has written about the teachings at Summit 2016 here. The Anglicans also honored life with a Morning Prayer service on Friday in preparation for The March for Life. In his sermon, Anglican Church in North America Archbishop, the Most Reverend Foley Beach, declared, “This is the greatest moral issue of our time, and we must not keep silent. We must not muzzle our voices influence. We must continue to knock on the door of the unrighteous judge and demand change.” He was referring to the Scripture reading from Luke in which Jesus tells the parable of the widow and the unjust judge. God, and not man, is the Creator of human life. The unjustified taking of life is sinful. Therefore all members and clergy are called to promote and respect the sanctity of every human life from conception to natural death. As admirable as this cause portends to be, I only wish the same efforts were made real AFTER birth, when the fetus becomes a “born” person, and the welfare of both Mother and Baby may need social assistance that many mothers require after delivering an unwanted pregnancy. Double standards seem the norm for the Right-Wing anti-choice crowd. If a woman seeks to end HER pregnancy, it seems only fair in a FREE country, that she be allowed to make that decision without interference from people who oppose her right to choose. Very impressive. Standing up for life, including the lives of the most defenseless minority of all, has been the Christian way since the very beginning. So glad that tradition lives on. I wish the Anglican Communion was as much pro-life as the Roman Catholic Church and the Eastern Orthodox Churches. There wouldn`t be Episcopal Church in the Anglican Communion at least since 1994, because they are the only pro-abortion church. To be pro-life is to be for the right to life from conception to natural death. Some trolls have no idea of what they are talking about, so they just say the same nonsense.